If your real estate goals for 2018 include buying a home in Metro Atlanta, you will definitely want to explore Alpharetta. Located off of Georgia 400 north of 285, Alpharetta combines the best of all worlds with its chic and trendy new Avalon development, downtown renewal, excellent schools, great restaurants and abundant green spaces. If you pass through downtown Alpharetta these days, you can’t miss the changes taking place. The entire downtown area is going through a major renewal with the striking new City Hall at the center of it all. 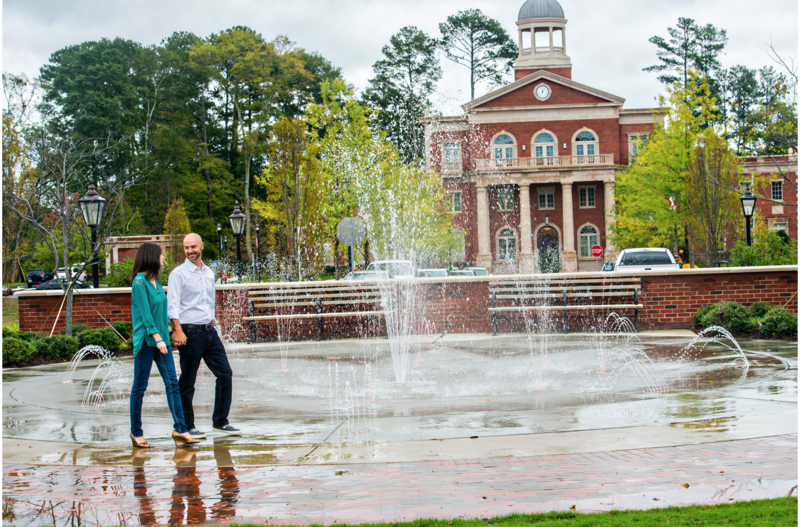 Downtown Alpharetta has morphed from a tiny sleepy small town to a hip, vibrant, walkable community. There is a new shop or restaurant opening up just about every month, and there are more to come! 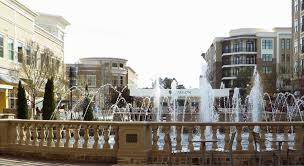 Downtown Alpharetta has a lot going on, and you’ll want to make sure you visit Alpharetta if you are looking for real estate in the North Metro Atlanta area. If you are new to the Metro Atlanta area, Avalon is not to be missed. This new live, work play development is a destination in its own right. With its boutique hotel, million-dollar houses, and chic lofts, Avalon has housing options to please just about everyone. Avalon is not just about real estate though…Avalon is trendy boutiques, big name-stores, and restaurants running the gamut from pizza to gourmet steaks. You can walk into Avalon in a coat and tie or shorts and sandals, and you’ll fit in just fine! Avalon hosts several events weekly and is home to a movie theater, an outdoor ice skating rink, fireworks shows, concerts and annual celebrations like Mardi Gras and the lighting of the tree. Alpharetta and neighboring Milton are home to some of the top schools in the state of Georgia. Milton High School, Northwestern Middle School, and Alpharetta Elementary, serve the area for Fulton County Public Schools and there are also private school options such as St. Francis, King’s Ridge and River’s Academy. These schools of excellence are part of the reason Alpharetta has had such long-standing popularity among parents of young children. Between Avalon and downtown Alpharetta, there is so much going on that you could almost dedicate an entire website to events in Alpharetta. Oh, wait…there IS an entire website dedicated to Alpharetta events! Visit awesomealpharetta.com to keep tabs on everything going on in this vibrant city. If you buy real estate in Alpharetta, you’ll be able to enjoy concerts at Verizon Amphitheater, Food Truck Alley, a seasonal Farmer’s Market, Christmas Tree Lighting and the popular Taste of Alpharetta in May. There is plenty of outdoor fun to be had in Alpharetta. There are numerous golf courses, tennis and country clubs, parks and trails to explore, playgrounds, sports facilities, and youth programs, an equestrian center, TopGolf golf entertainment complex, and Verizon Amphitheater. If you’d like to learn more about Alpharetta, visit my community page on Alpharetta to discover all this dynamic community has to offer. If you are interested in real estate in North Fulton, please visit my website and as always, don’t hesitate to call me! We offer personalized service and outstanding results, and we specialize in Metro Atlanta real estate. Our team is very familiar with all the wonderful communities our area has to offer, so please give us a shout if you have any questions about Metro Atlanta real estate.